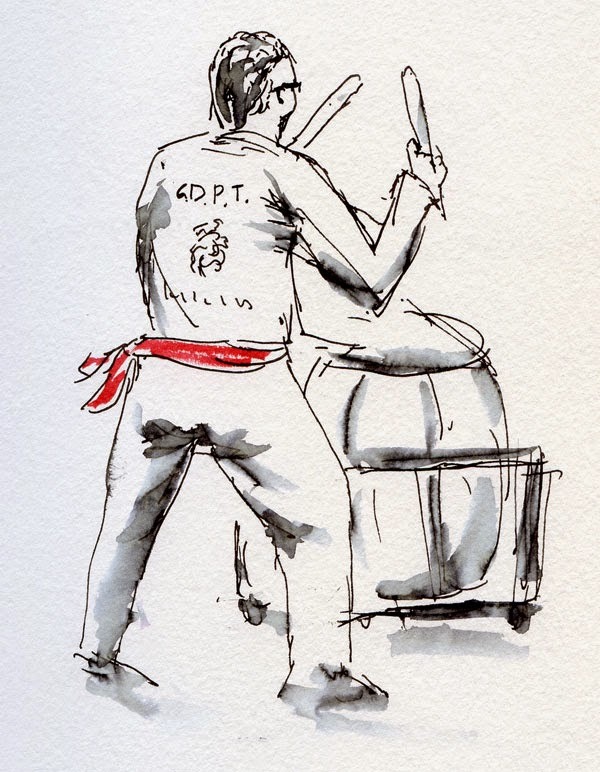 2/7/15 Drummer during the lion dance. After the lion dance, we went inside the museum, where more festivities were taking place in celebration of the Year of the Ram. We shied away from most of the hub-bub, though, and ducked into a quieter area of the museum showing an excellent exhibit of Bruce Lee’s life. I sketched a bronze bust of Bruce that was conveniently close to a corner, where I could stand without getting in the way. 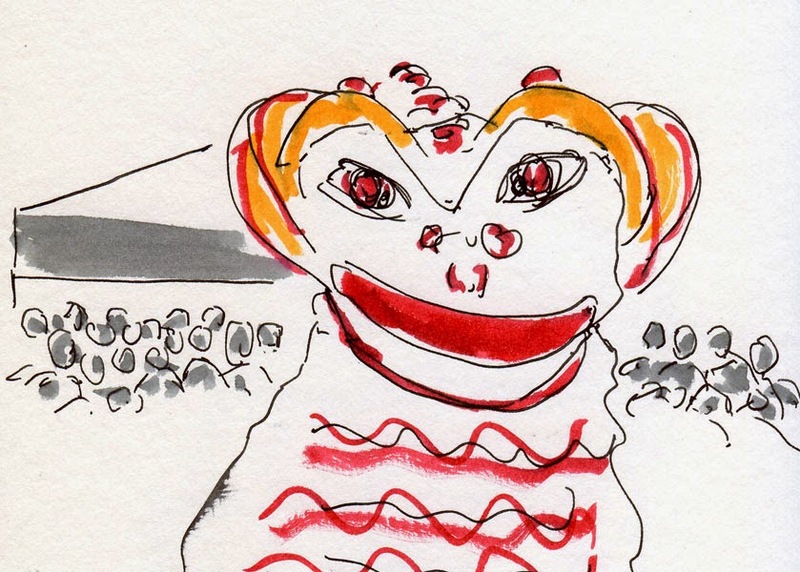 (“No Photography” signs were everywhere in the exhibit, so I felt somewhat smug being able to sketch it!) I know the classic bust form is usually armless, but I found it sad and ironic that a man whose arms and hands were such an important part of his martial art form would be portrayed armless. Maybe it was a metaphor of his life being tragically cut short (he was 32 when he died in 1973 of cerebral edema). The rain was already starting again on the drive home, and now the deluge is back. As we like to say around here, at least we don’t have to shovel rain. 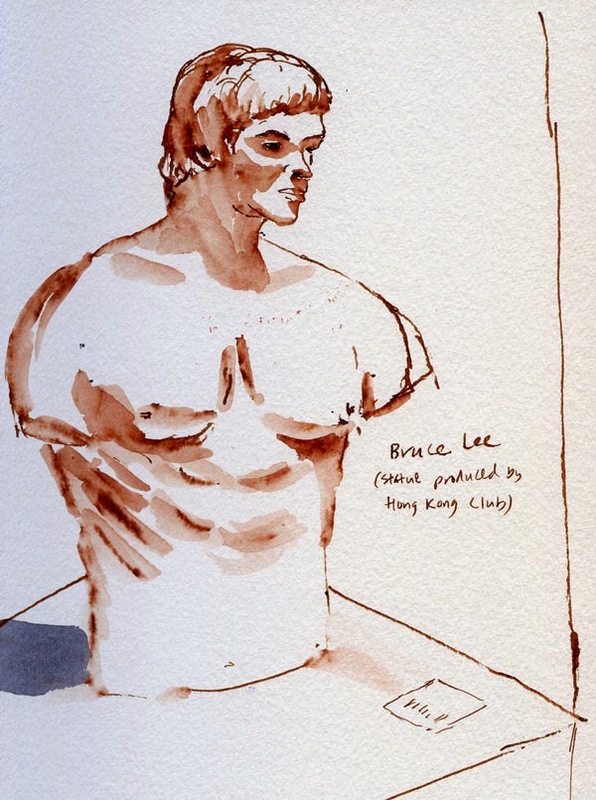 2/7/15 Bust of Bruce Lee at the Wing Luke Museum.